Yoga to Increase Height Naturally! 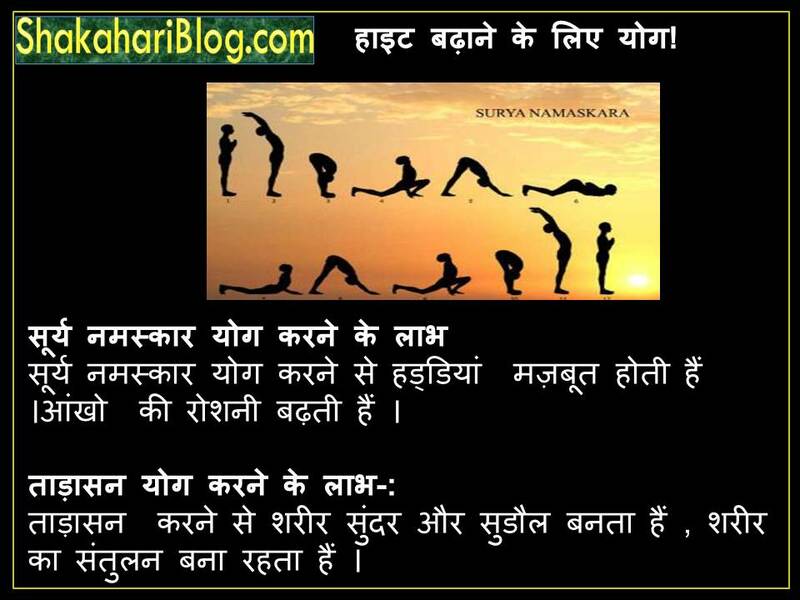 Surya Namaskar: This is an age-old yoga exercise with 12 different postures and performed in a chronological manner. Talasana: Talasana strengthens your arms, legs and spines. Keeps your body smooth. Helpful for height gain. Next post: Now Dettol Soap Sample Fails Quality Test! Previous post: Litchi Benefits In Hindi!